Welcome to the summer hiring rush of March and April. Businesses around this time of year are quickly creating job postings and hiring for summer contracts and internship positions. With only so many jobs available and such a high volume of students things can become very competitive. To get an edge on your competition, here are several tips to improve your LinkedIn account. This is a common pitfall for newly graduated university students. 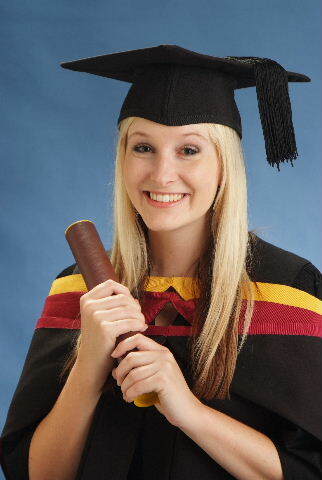 Many LinkdedIn guides will say to use a professional headshot, and a grad photo is one! However, your first impression for businesses will be of a student. If you want to be treated as a professional, you’ve got to look like one. Great so you can’t use your grad photo or a selfie??? What picture are you supposed to use then? You have to invest in your image online, so you have to book time to get a professional headshot done. Professional photographers will ensure your profile won’t stick out like a sore thumb. Your headline is essentially your current position. However, you can use this space to highlight your strongest skills and optimize your search-ability. For instance, instead of making your headline “Student at Ryerson” you could write “Media Designer | Social Media Marketing | Web Programmer”, a headline with all your skills will improve how often you come up in searches for recruiters. This increases your specialization in a field, and makes your search-ability that much stronger. Keep up the good work Trent! Just like Facebook you can have a cover photo. If you are a presenter try to make this an action shot of you on stage, or if you are an artist show one of your works. Another example is if you are a programmer you could use a picture of a circuit board. Make sure the image is high resolution, relevant to your field and complimentary to the rest of your profile. Have you ever searched a page for a specific name? That’s exactly how LinkedIn recruiters conduct their business. When describing your skills in your summary or adding key-points to your work and volunteer history make sure to highlight that speciality as much as possible. Repetition is good, but don’t overdo it. Did you find these LinkedIn tips helpful? Would you like to see more (because there are wayyyy more) let us know in the comments section below!